Around 34 million U.S. citizens, or 11 percent of the population, don’t have access to the internet (“access” as defined by the Federal Communications Committee’s 25Mbps speed threshold). Because the internet is increasingly essential to life in the 21st century, this is a clear problem, and SpaceX plans to launch a solution in 2019. On Wednesday, SpaceX updated the Senate Committee on Commerce, Science, and Technology on its plans to launch 4,425 satellites that will provide internet for unserved and underserved communities both across the country and around the world (around 57 percent of the global population is offline). SpaceX seems to have pushed back the schedule from the original timeline laid out in 2015; the company then said it hoped to have these satellites up by 2020. 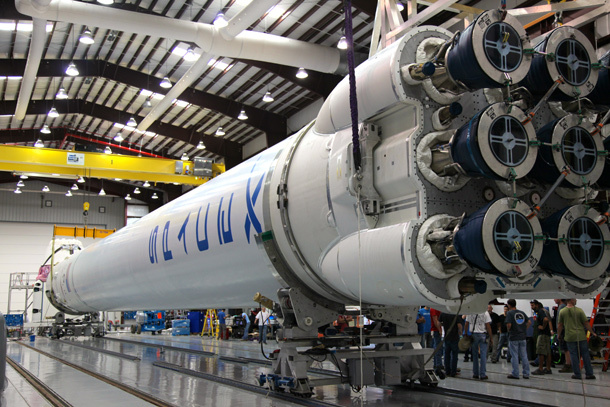 Even with a later deadline of 2024, SpaceX remains the pioneer of the project of satellite broadband. The company plans to launch these satellites using its Falcon 9 rocket, which is reusable, and such will save serious money on launch expenses to the tune of $62 million per launch. Cooper called upon Congress to incentivize the development of technology that increases spectral efficiency, which basically means speeds up bandwidth. She asked that Congress fund satellite broadband within its national infrastructure investments (President Donald Trump plans to implement a $1 trillion infrastructure initiative, the details of which are still foggy). SpaceX may want to basically become the world’s internet service provider, but a monopoly or near-monopoly in this market would not be good (ISPs already have regional monopolies in most parts of the United States), especially given the alarming new powers Congress is bequeathing ISPs. Increasing internet access for the underserved is an important project, but not all is rosy in the realm of extraterrestrial broadband.